Looking to buy a special Christmas gift? Gardening Direct have fantastic Christmas Bouquets from only £9.99. They also have Christmas Plant Gifts from only £12.99. All Christmas Gifts come in a sturdy gift box and a personalised gift card and are dispatched in plenty of time for Christmas. 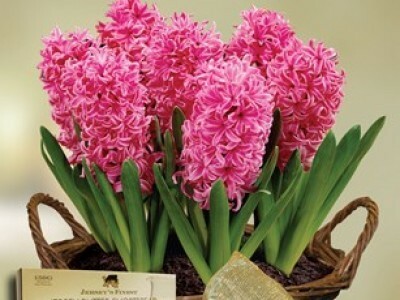 The Hyacinth bulbs with Shortbread (pictured right) would make a great Christmas gift. They come in a rustic basket and a box of luxury Jersey's finest Jersey Butter Shortbread Biscuits. Check out Gardening Direct for more great Christmas Gift ideas.